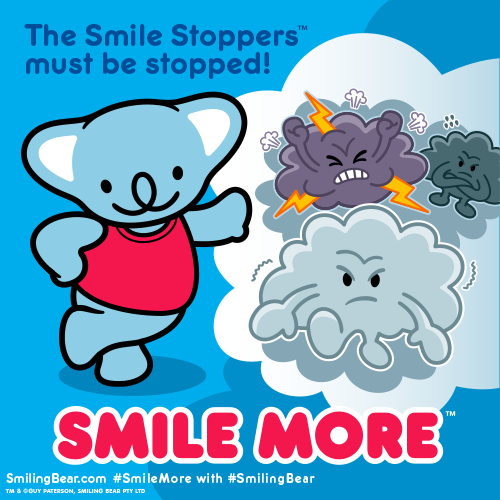 Here’s the latest edition of the ‘Smile More’ comic strip, that appears in Just Kidding – Australia’s number one tween magazine. 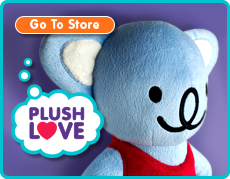 This koala comic is all about having a change of scene. Camping out overnight, where you can dream freely right under the stars. Camping out overnight takes things to a whole new level. Sitting with friends around a camp fire, sharing your stories, listening, laughing. There’s a completely different rhythm to your life back home. And when you look up into the darkness (assuming it’s not overcast) all you can see are stars twinkling, great big clusters of them right across the sky. You’ll be amazed at how many you can see, as away from the towns and cities there’s no light pollution from buildings or street lights hiding them. When it’s finally time to sleep, you will lie there quietly in your tent, waiting for those unexpected night time sounds. What was that? An owl, a fox, or maybe just the wind blowing through the trees? It will soon be morning and you’ll wake with the sun. Poking your head out of the tent flaps, you wonder who else is up and about yet. The time will come to return back home again, and you may even feel a little sad. But remember this; you’re energised and invigorated, bursting with fresh ideas and inspiration, ready to tackle any challenges and grab hold of new opportunities. A quick warning too. After your long drive home make sure someone else unpacks the vehicle. There’s a damp, crumpled tent and all the other equipment to deal with, it takes forever and is hugely boring! So go on, get outside and get into nature, and spend a night dreaming under the stars. Please note: If you’re a child, please ask your parents or guardian to take you camping, as whilst it’s a lot of fun you also need to make sure you stay safe. It's that time again. Time to take off and disappear into the clouds. I have been sitting on this post for over 6 months now, but with news tonight of Tony Abbott being defeated it seemed like the appropriate time to post finally. Tony Abbott has been defeated by Malcolm Turnbull, and is no longer the Australian Prime Minister. I have no idea if Malcolm Turnbull’s environmental credentials are any better than Mr Abbotts, but let’s hopes so! To date, Australian politicians are doing literally nothing to prevent koala extinction, in fact worse than ’nothing’ as they keep lying and manipulating figures to make everything seem OK. This is really underhand, because it gives the public the perception that things aren’t as bad as they really are. 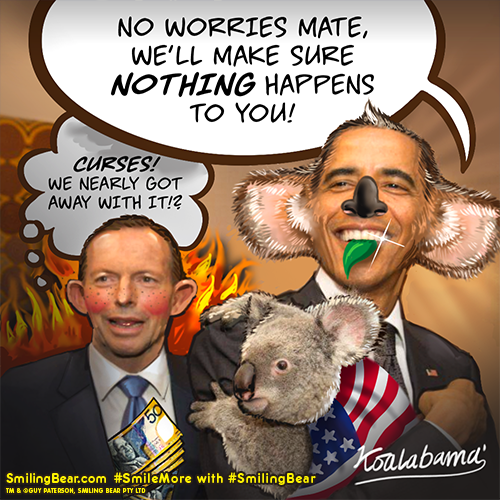 Back in November last year, at the G-20 summit in Australia, Tony Abbott was very happy to use a koala for his international media purposes, with President Obama having a koala cuddle too. But sadly this is where Abbott and his governments interest in koalas seems to end. Earlier I was over on SaveTheKoala.com reading CEO Deborah Tabart’s latest post about trying to get a Koala Protection Act passed. Deborah and her staff have been working tirelessly in an effort to get proper protection for the koala legislated in Australian law. It was so sad to read that out of 128 Australian Federal politicians she asked for help and support, only 7 (YES SEVEN!) have bothered to respond. So it seems the koala really might become extinct in the wild because politicians refuse to do anything. They would rather support mining, property development and other industries for their own financial gain (both personal and party funding). Pretty cold stuff. I wonder what the rest of the world will make of all this? It won’t look so good when people want to come here to visit and find out how backward the culture is – come on Australia, it’s 2015. Extinction of a national icon is unthinkable! Yes, apparently it can. It’s F-R-I-D-A-Y-! I recently read an exciting article about Hipster Whale, the Australian game developers who created Crossy Road. If you’re not familiar with the game, it stars a blocky looking chicken that needs to cross the road, and was inspired by classic video games such as Frogger. Riding high on success, Bandai Namco approached them to work on their new Pac-Man game. Called Pac-Man 256, the game has only been live for a week and has already shot to the number one spot of the charts and has been downloaded 3 million times already! Great to hear about a small Aussie company doing so well internationally, “Good onya lads”, keep on creating hits. • Full length article I was reading about Hipster Whale can be found here. • Download the Crossy Road game from iTunes here. • Download the Pac-Man 256 game from iTunes here. 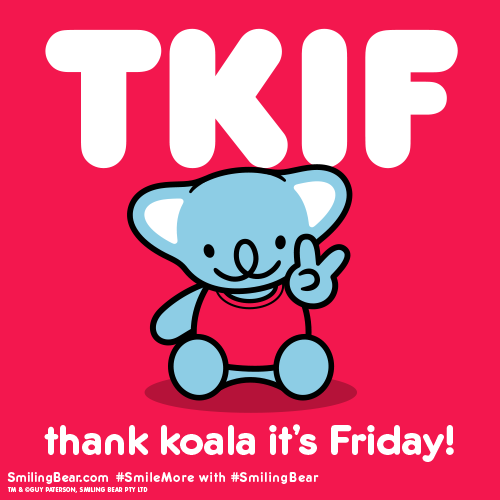 …Thank koala it’s Friday! Time to let your hair (or fur) down and to pick yourself up! Get out amongst it this weekend, talk, interact, meet people, move your body, breathe and most importantly, have fun. Just putting the finishing touches to a new comic strip that will appear in next months Just Kidding magazine. It has quite a few detailed panels on it and is proving quite fiddly! Still, hopefully the final results will be worth the effort. This is an example of the pencil version I draw up first, and then I ink the lines over it and color. I tend to work 100% digitally now to help speed things up. I’ll be able to post the final version once the magazine is published. Here’s the latest edition of the ‘Smile More’ comic strip, that appears in Just Kidding– Australia’s number one tween magazine. This koala comic is all about being happy with the way you look. We can all get really stressed out about how we look. Do we have a particular feature we don’t like? Are we wearing the latest clothes and brands? Are we in good enough shape? The list just keeps on growing! No matter how stressed out you get about your appearance, remember that real friends will like you just the way you are. Well, as long as you don’t let your sense of style get too whacky!? 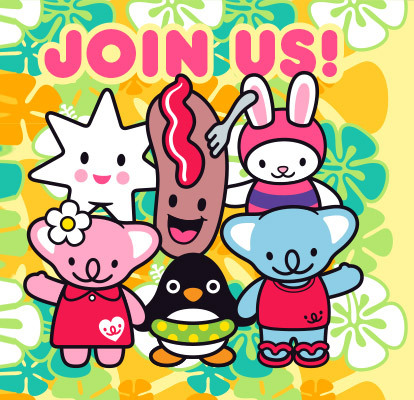 When you’re happy, you are full of energy, positivity and seem bubbly to those around you. You might expect those people to become happy and excited too, but some people may not like your positivity. They might be jealous of it as they are in a bad mood. Smiling Bear calls these people Smile Stoppers™. They get a kick out of ruining your day, and take great pleasure in bringing you down to their own grumpy level. Here’s the May edition of the ‘Smile More’ comic strip, that appears in Just Kidding – Australia’s number one tween magazine. 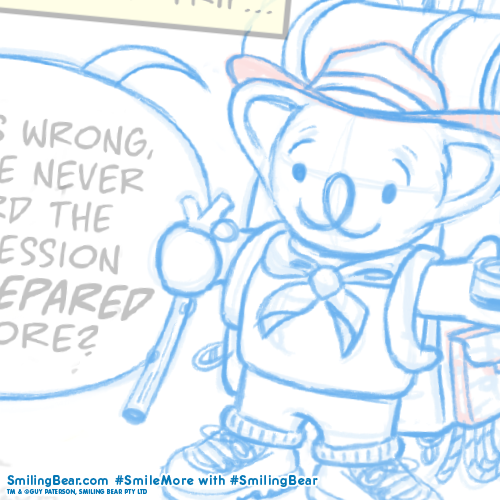 This koala comic is all about being happy on the inside. So what is being ‘happy on the inside’ anyway? Modern life is so busy and distracting that most of the time it’s just whizzing straight by us. It’s exhausting trying to keep up and we are constantly missing the simple things going on right under our nose. So take a moment to engage with real life, go outside and marvel at the natural beauty around you, participate in activities. Talk to people and find out how they’re doing. Check in with yourself, how are you feeling? Are you looking after yourself?